Time to complete your home remodeling and office renovation. 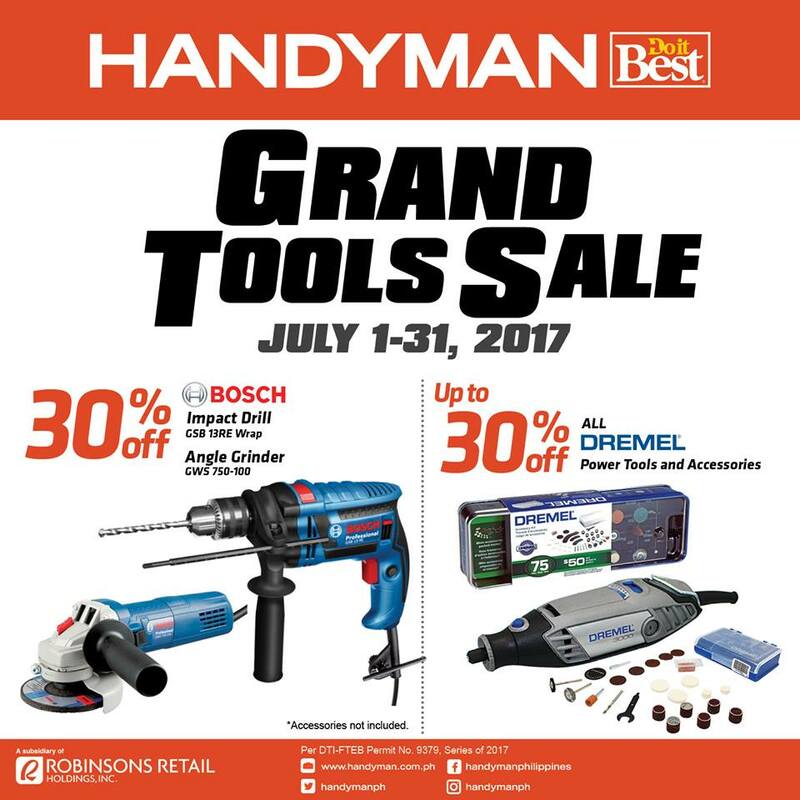 Check out Handyman's Grand Tools Sale happening until July 31, 2017. Browse on a wide selection of power tools, hand tools, accessories, and more for both professional use and do-it-yourself. 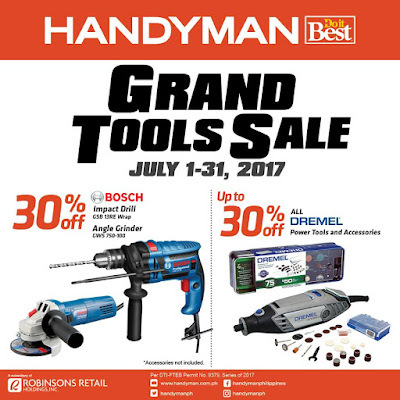 Score top tools brands such as Bosch, DeWalt, Makita, Lotus, Stanley, and Black & Decker at up to 30% discount! Visit a Handyman stores near you!